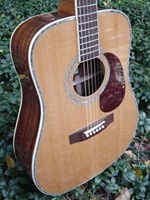 I was actually looking up Martin guitars on my computer and I had looked at them before and compared some models and pretty much had decided on one particular model. I am a new guitar player, still very much learning. Taking lessons for the first time as a middle-aged person. I had always wanted to learn and never did, so I finally purchased a relatively inexpensive guitar and began lessons. Callouses and all, I wanted to continue and wanted my next guitar. An ad came up for Zager EZ play guitars and I at first dismissed it, but then it intrigued me. I went to the site and read all about them and read all the reviews I could find and concluded, "I've found my next guitar". I was wanting to stay in a particular price range so that's why I ordered the 20CE model. I placed my order the next day. This guitar is sooo much easier on my fingers. I've already developed callouses from other guitar, but even still it hurt if I practiced longer than 35 min. I wish I had had this guitar from the start. The tone and sound of this guitar is beautiful. My other guitar sounded "tinny". This one is rich. Not to mention how beautiful this guitar is! Solid wood-gorgeous, abalone inlay, choice of woods, and the high gloss finish, which I personally like. I love the built-in tuner. My other guitar didn't have that so I had to buy a separate tuner. All told, a beautiful guitar. The ease of play. The action is good and easy on the fingers. I have not looked at the price of many guitars. Mainly just some of the Martins and this one was less expensive than the Martin I had kind of decided on, so I know, for one similar to this, I would have to estimate this guitar would be twice the price it is. I was telling my guitar teacher, who is 19 yrs. old, and just bought a new Martin, and his mother about Zager guitars and their company and their service and she said,"Wow. What did THAT cost you? She had just recently purchased that Martin guitar for her other son and she couldnt believe it when I told her. Let's just say I don't know any other company ANYWHERE that can even come close to competing with this company in customer service. I mean that sincerely. I deal with a lot of companies and have never been treated so much like I matter. First of all, when I was considering ordering my guitar, I emailed with questions and help to choose which one for me and, I got answers back almost immediately. I'm talking minutes, not hours or days. They emailed me after I ordered thanking me for my order and the next day it went out. Without going into detail, let's just say that when I received it I, due to my naivety and lack of experience did something that was my fault and was really upset at myself. I emailed Dennis to tell him what I had done and he told me how to resolve it and the next day I took care of it and all was well. 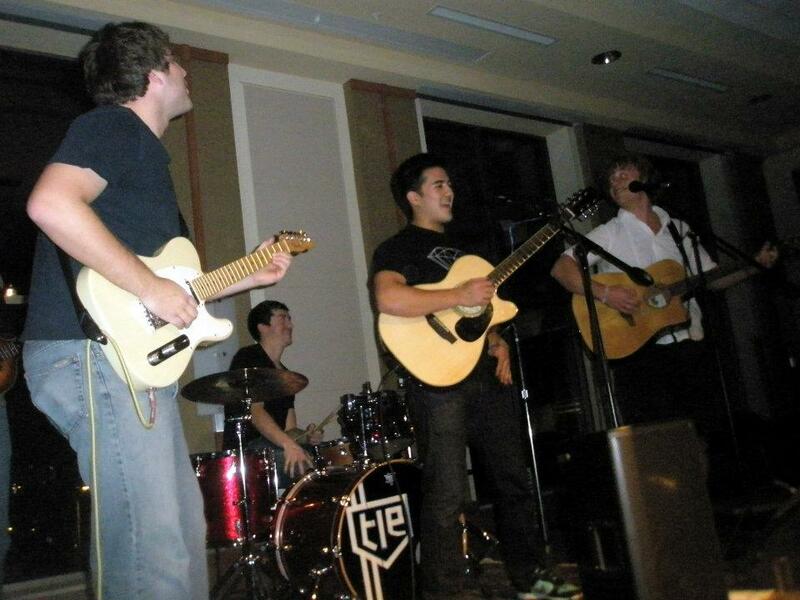 That night Dennis emailed me and said for me to send the guitar back because they weren't sure why this happened. I said no and he insisted. It actually did make me feel better. The next day they had already sent the new one even though I hadn't gotten the first one to UPS yet. Who does that? I received the new one in 4 days and am so very happy! What a company! Yes, I have already and will continue to do so. I would say to all beginners to get one of these guitars before you get anything else. I know practice would be so much easier and you will be more likely to keep it up. Nothing more to add really. I think I've about said it all. I guess one more thing: I am even more impressed by the fact that someone like Denny Zager, with celebrity status, would show this level of care and concern for people and their love of playing guitar enough to make such a beautiful instrument at a price where most people can afford and not do it just for money is a testament to his character and sets him apart! Thank you! Outstanding customer support. It couldn't be delivered in the soft case that I paid for , so I was compensated with a hard case at a later date. On top of this I was kept abreast of all that was going on. They even supplied another set of strings, a tee shirt a certificate of authenticity and Denny Zager signed the guitar himself. I can't say enough good things about this company. This is an excellent guitar for a novice/ less experienced player like myself because you can spend so much more time each time you pick up the guitar to practice, and the more it is played the better it sounds. I would recommend this guitar much higher than any other guitar I have played. This is only the second new guitar that I have bought. At first I thought it sounded just ok , but after having played it for a day and retuning it 3 or 4 times it improved. After days and weeks of play it neede to be tuned less, and the sound really started to come out of this guitar. I truly was impressed, the more I played the better it sounded, probably due to practice and confidence as well as a great guitar, but that is what this guitar gives you! This is the 3rd guitar we have purchased from Zager. I don't play guitar, but my boys do. I have had the guitar playing in my home for 10 years, I have purchase 3 Zager guitars and nothing sounds like the Zager! Not only is it a beautiful instrument but it also has an incredible sound. The best part is seeing the smile on my boys faces when they open their new guitars. My oldest boy serves in the Marine Corps and I shipped one to him last Christmas when he was stationed in Africa, nothing says "I love you" like receiving a Zager guitar when you are far from home! He loves his zad20ceom, as it is much easier to transport through airports as he travels alot in the Corps. My younger son received the zad20sunburst for Christmas and not a day has gone by that I haven't heard him playing his guitar. I love having these guitars in my home! Absolutely. Price, quality and customer service. I was doing a search. I enter EZ play without knowing this would lead me to Zager. What a great find. Easy to play. Great tone. I love how easy it is to play. I play simply for my own pleasure and having a quality guitar with great sound at a reasonable price is more than a guy like me could ask for. Yes. It's just a great guitar at a great price. Thanks for adding to my pleasure as I pick up guitar after many years of not playing. You can't even compare this to any other guitar in its price range in any store. It wouldn't even be a fair argument for any other brand. This guitar is light years ahead of anything you'll find at a store. 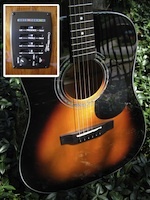 Easily could retail for 1,000 to 1,200 at a guitar shop and still be a good value. After comparing it to a few Martins owned by a friend who collects, I think it's safe to say that he was blown away as well, and see a Zager coming his way in the near future. It wouldn't do this guitar justice to narrow my favorite aspect down to just one. It's beautifully crafted, sounds incredible, and just feels so natural in your hands. Yes!! Everyone wants the most for their dollar. Not only are Zager guitars reasonably priced they are hands down better in every category compared to other makers that are even 3 times the price. I'm not one to usually take the time to write costumer reviews of any kind, but this guitar truly blew me away. If you play, all I can say is do yourself a favor and pick up of of these beautiful guitars that fits you best. You will not be disappointed. & if for some crazy reason you are, well they'll take it back, no questions asked. heard about ZAGER GUITARS through my own research on the internet. my ZAGER zad20 is a very playable and full bodied sounding instrument. from the first strum i was captured by the overall balance of both the highs and lows of the tonal spectrum. i also own two vintage ALVAREZ acoustics that also sound great but they both have the same sound favoring the low end tones and neither one of them have as low of action making them more tiring to play for extended periods. my new ZAGER zad20 has the most comfortable neck i have ever encountered on an acoustic..not too thin but just right for wraping my hand around. im able to effortlessly make chords ring out with no buzz and more importantly no hand cramping. a very natural feeling guitar to play! the most favorite part of my zad20 has to be the effortless playability of the neck. it just feels like it makes your hand happy and in turn sounds so good you just wanna keep impressing yourself and play more. chords have never been so easy to make sound so full of rich tones..i love it! 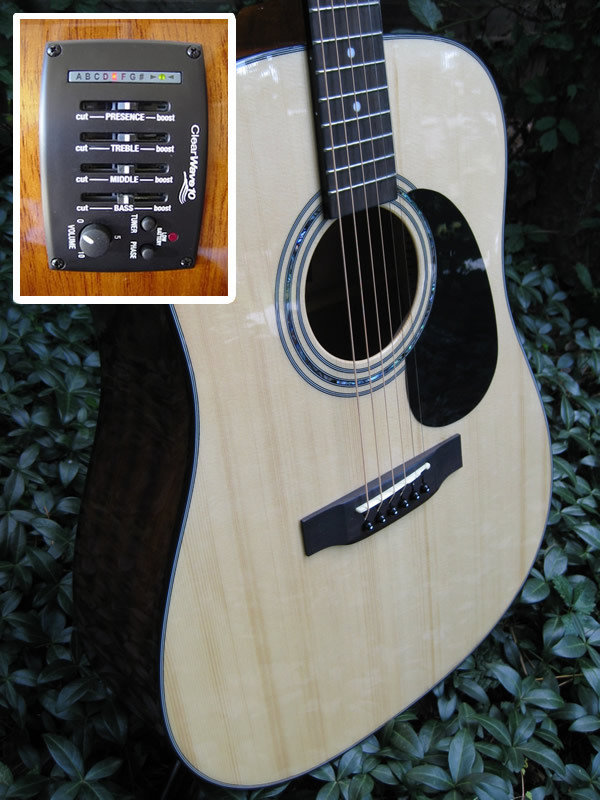 knowing what ive paid for my other acoustic guitars i would expect the zad20 to cost at least twice the asking price. with the "no risk" deal DENNY has offered its just silly not to order one, play it, love it, and see for yourself its the best deal going for all of us players. i have never been subject to such a great company. i was expecting a reply to my email to DENNIS to be a day or two wait at least. wrong! ten minutes and all my questions were answered by a very professional DENNIS ZAGER himself..not an employee who gets paid to sound like they care. thanks to DENNIS for that because to me that really matters and in my opinion shows how much ZAGER GUITARS as a company cares about their customers. i would recommend ZAGER GUITARS to anyone from beginner to actual gigging guitarists. ZAGER has a full line of guitars from modest to full on contender for the title. i will continue to play my new ZAGER with pride and cant wait till i can afford to order ZAGER's top of the line work of art. thanks again to DENNY, DENNIS, and all of the ZAGER company employees who make these guitars available to working class folk such as myself who can now afford top quality instruments! So easy to play and the clarity of sound is amazingly beautiful. So rich full and resonant! I am a huge fan and have just started with Dennys' video library. The approach is so well structured and logical. I plan to pursue studying the guitar with your help for the rest of my life! As a beginner the sound and feel are great seems to be more comfortable than others I have tried. I really don't know but I will be interested in what my friends who have guitars think and what they paid for theirs. Top Notch, there was an issue with the cases that didn't meet the Zagers standards and when the next batch came I got it pronto. Every Email was answered promptly by Dennis and even sent me some things at no cost which I wasn't expecting. So thanks Dennis! You bet. Quality and service can't be beat with a stick. I've been telling all my buddies about this guitar and will be showing it off with out reservation. Thanks Guys for a grest product and service to boot. The first thing you notice is the exceptional quality and attention to detail, what a beautiful guitar! Then once you pick it up and start playing, you immediately can feel the difference in playability. This guitar plays at least 20% easier that my other guitars. You will not want to put it down! She sounds oh so sweet! The playability, you cant help but become a better player with this guitar! Also the sound quality is incredible! Excellent, this has been one of the best purchasing experiences I have had. Absolutely, this is a beautiful quality instrument, the sound is incredible, customer service is fantastic and your satisfaction is guaranteed. I give the overall Zager experience an A+, Thanks Denny and Denny Jr. I heard about Zager guitars from a friend and more info online. I have been a professional drummer for 30 plus years and just taken up guitar the past couple of years.This guitar felt so comfortable right away. My clubby drummer fingers struggled a bit on my used Martin and Fender.The design of this guitar just fits me perfect, and what great tone. The feel of the neck, and the tone and its good looks. Great,everything was as described and arrived right on time very well packed. Asolutely! All of the above. Always a pleasure to do business with folks who still take pride in their work and are honest about it. This is the nicest guitar I've ever played. I had an SG and a Strat 30 years ago when I played more often and over all didn't play or sound as nice as the Zager. Easy to play and stays in tune. I would expect to be over $1000.00. I haven't had any issues with the quality. Correspondence about a delayed delivery for the case was excellent. Yes, It's a great value. I have made quick progress since it is easier to play. This is the first steel string guitar I have owned. I always wanted one but was put off by the difficulty in getting used to the hard steel strings and the finger pain involved. I was impressed by testimonials stating that the action of Zager guitars was very light and That they were much easier to play. I found this to be no exaggeration; I could play my ZAD80 right away with very little finger pain. My ZAD80 is beautiful, beautifully made and beautiful sounding. I can't stop telling my wife and friends how much I love it. I love the tone of my ZAD80, but I must admit that what I love the most is its overall appearance. The fine construction, attention to detail and wonderful finish that Zager has lavished on this guitar are the equal of guitars I tested that were three times as expensive. I would easily have thought this was a three or four thousand dollar guitar. Dennis Zager has been a big help in my decision to buy this guitar. All my emails are answered quickly and accurately and he hjas tried to accomodate all requests. You find out very quickly that these people really care about their customers. This is a no-brainer. Anyone, amateur or professional would be very happy with my ZAD80. In my experience, it's very rare in this day and age to find a company that not only produces a superior product, but has such outstanding customer service - they know how to keep a customer happy and coming back. The quality is as good or better than anything I have ever played or owned over the last 40 years. The finish is beautiful, the sound is superb, and it really is EASIER to play than anything I have ever played before. The SOUND! It has a wonderful full sound, is very sweet, balanced and not too bright. Better than anywhere I have ever dealt with. Dennis answered all emails and questions promptly, and was very accommodating. Absolutely, this was such an easy transaction. I live in Canada, which makes cross border shipping challenging sometimes. Dennis went the extra mile to make sure I was taken care of and I appreciate it. Zager Guitar is doing what no one else is.....selling top quality guitars online that have actually been set up by someone who knows what they are doing! Don't hesitate to buy one, you will not find anything hanging in a retail store that will play better than these do, at any price. And they guarantee it. I knew about this company for years but never really researched the guitars. I checked the feedback on the website and realized how pleased the people are with this product. After ordering the guitar, I was told to use it for 90 days and that they would take it back for any reason and pay return shipping, if I wasn't satisfied. I loved the guitar and sound but wasn't comfortable with the feel and emailed Dennis. He sent me a call tag, NO QUESTIONS ASKED, and I sent that one back and he sent me out another one, even before he received the old one back. The new guitar is excellent and is very comfortable for me to play. Once I start playing it I can't put it down. I have been playing guitars for over 20 years and never had a guitar that feels/sounds and plays so nice. I can't believe the customer service. They are amazing and really care about their customers.They will stand behind their product, UNCONDITIONALLY, with no questions asked. It is very important that you are completely satisfied. I would like to thank all of the people involved with this company for their honesty and caring. I highly recommend these guitars, as well and the company. They are UNBELIEVEABLE!!!!!! No comparison. These guitars are very well made, very well priced, and should cost twice the selling price. They are a high end guitar, without the high price. I only have good things to say about the guitar. I just love it and would highly recommend this guitar and company with a AAA+++ rating. Comfortable to play with an amazing sound. It's really a quality instrument. Guitars of equal construction, sound and playability, would cost twice what I paid. Excellent, understanding and 100% customer oriented. This is an amazing company. Definitely, no question. This is a high end guitar. Don't be afraid to order this guitar. The company will stand behind the guitar NO QUESTIONS ASKED. You really don't have anything to loose and everything to gain. You'll receive a beautiful guitar that plays and sounds great, with a 100% satisfaction guaranteed. Try one, you won't be sorry. Sound is amazing,ease of playing is exceptional, fit and finish is great, just a quality instrument, that I will be proud to play for as long as I am able. 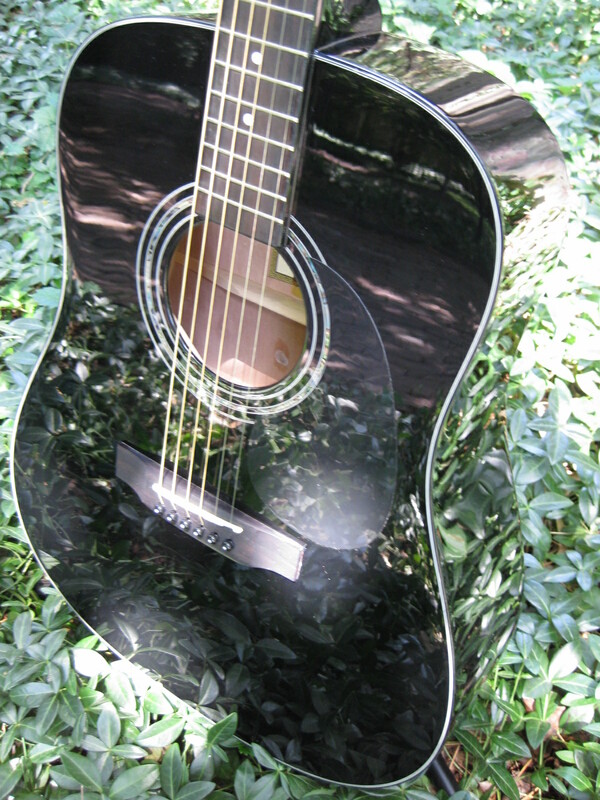 I already have recommended Zager Guitars, I am very impressed with the guitar, and very happy I bought one. I hope to buy another Zager Guitar in the future! I had a martin 12string and a couple of fender Electrics. I just love the full sound of my zager and the finish is beyond reproach. Compared to the martins I have demonstrated and priced about 2500..
My son in law has one after playing mine. lighter, better finish,better sounding out of the box! This guitar has excellent tone. 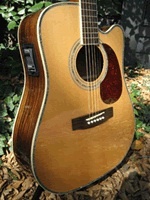 I would compare the Zager to Martin, Yamaha and other much more expensive guitars. The ease of playing and the wonderful sound quality. I have had 2 occasions to contact Zager since purchasing my guitar. In both cases I received a prompt, knowledgeable response. These folks go out of their way to be helpful. Outstanding!!!!! I would strongly recommend Zager to anyone. Their guitars are well made, sound great, easy to play, have fantastic customer support and cost far less than any comparable instrument. My next guitar will be another Zager!!!!! I first saw your guitars on Ebay. I then looked at your website. My first guitar was a Martin and I sold it on Ebay. It was a good guitar but made my fingers so very sore as a new learner. 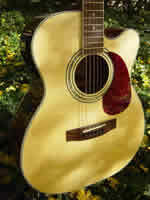 Then I bought an Ovation, this also was a very nice guitar but again I just could not get past my fingers being so sore. All this time I watched your videos and looked at your guitars on the internet and finally I sold my Ovation on Ebay and purchased the Parlor. It was perfect. This guitar played so great that I got right though the sore fingers. I can play and play and enjoy it so much. With the sizing chart on your website plus I asked Denny questions which he helped me so much, I bought the guitar (Parlor) that was the perfect fit for me. It was as if it was made just for me. I had alot of trouble holding the strings down and had the worst time "dudding". But with my Zagger I dont do that anymore!!! It was amazing that I was playing the way I always wanted to. I am just learning and this wonderful guitar is everything that the website said it was. I am truly having fun playing. It is well made and beautiful. I bought the Mahogany Parlor and I would have thought this guitar would have cost 1,200.00 as I played a Martin Mahogany that cost 1,400.00 at a guitar store and my Zagger is every bit as good as that Martin. I only paid 375.00 and it is worth a whole lot more. You could not ask for any better customer support. Over the past year I asked many questions and every time I got a answer within the hour. Also I loved watching the video that Denny done all about the Zager guitar. There is tons of information on the website. You bet I highly recommend Zager Guitars. I bought my guitar it was to come with a soft case but I got an email telling me that they were out of the soft cases and instead sent me a hard case with my guitar, you could have knocked me over with a feather that the Zager company would have done that. Years ago companies went out of there way to help there customers but you dont find that much anymore and here THEY did it. WOW!!! This is awesome. I have told everybody I know about how great my guitar is and I truly believe that if you would play it just once you could not put it down. 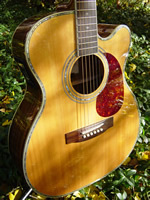 It is a wonderfully made guitar, the craftsman ship is fantasic. You can not go wrong purchasing a Zager!!!! I've been in the market for a new acoustic/electric guitar for several years and have looked at countless websites, including eBay. I saw a Zager listed there, and I explored further and ended up on the Zager website. As much as I love the Guild I've been playing for the last 27 years, there's really no comparison. My new Zager plays easier, it's lighter, and the sounder is crisper and far more resonant. The sustain is far beyond that of the Guild. How surprisingly light it is for the amount and quality of sound it produces. I'd guess in the $1500 to $2000 price range. The customer service is unsurpassed. Dennis answered every question I asked him, no matter how trivial, within minutes of my emailing him. He directed me to the right place on the Zager website if the answer was to be found there and was very, very patient with my persistent and many emails. For all of the reasons I stated above and because we should all make music! This guitar is perfect for beginners because of how easily it plays. It's also perfect for the most seasoned pro, who will be able to get amazingly beautiful tones out of one of these babies! I was looking for a good guitar for my daughter, I was about to buy her a $1200 - $2000 Martin. Her #1 is a Luna guitar that sounds pretty good. She did confirm that the Zager does play easier and sounds better than her Luna. She said it is her new #1 now. I'm planning to get her a ZAD900CE one day. I'm happy my daughter likes all aspects of the guitar. She really wanted the Mahogany and the ZAD20 was a good choice. I'm not good at pricing, but I would have thought it could go for at least $900 - $1000. Yes, and I already have. I think it's a good deal on a good sounding guitar. To me it's a deal that will be hard to beat. Easier to play, good price, great sound and seems to be great quality so far. I love it. Shipped quickly also. I have always played Ovation and judge the others by my 70's model. The face, of course, cracked and had to be reglued but it plays as well or better than the Martin or the Gibson I own. 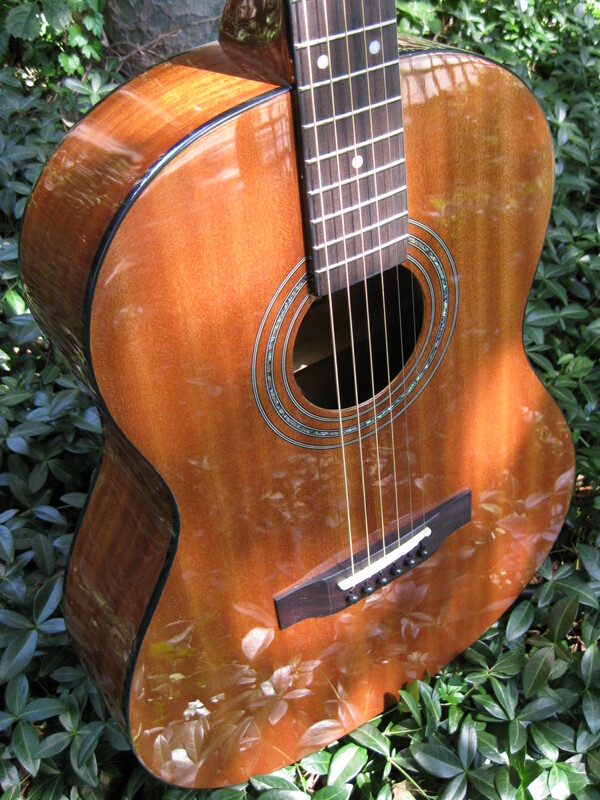 The Zager plays as well as my old Ovation but has a more mellow "woody" sound which I like. The string tension seems less and I don't need to press down so hard on the Zager. I have the Zager Parlor and I enjoy the 12 fret neck. Customer support is the best I have ever seen or heard of. I don't ever plan on buying any other brand and plan to tell every one I know about Zager guitars. Being a "newbie", I'd not had much experience with many different styles of guitars so my opinion was not tainted by nostalgia, allegiance, or habit. I simply took the guitar out of the case and played it to see if it was as vibrant and reactive as the reviews said. I had fully planned on returning it if in any way deviant from the reviews. Well, to the contrary, it was magnificent. The sound is so rich in both the high and the low tones. The middle ranges stand their ground as well! Now, I stop in guitar stores just to see if any guitars at similar price points come close. They don't and it makes me smile! Seems to play like some of the $3500.00 guitars out there (and up...). I don't know who would buy those though if only they'd try a Zager zad80ce first! Quick responses to my questions and a complete 100% money back guarantee. Can't really ask much more than that from any company. Absolutely!!!!!! I would only ask that a person try the Zager zad80ce before trying another guitar. It will sell itself if they'll only try it! I love this guitar. I've got a long way to go till I can play to its potential but it's nice to know I won't "outgrow" it any time soon. A real beautiful instrument from a great company! A Musician friend of mine has this guitar and loves it. So much easier to play. I can practice for hours now. The sound is crisp,clean and rich all the way through. That;s a tough one. The sound and how easy it is on my fingers. Top rate. Superior to any one else. If for no other reason, their support is a good reason to buy a Zager. Yes, I recommend them to everyone for the sound, the ease of playing, and the customer service. I don't think I want to play anything but a Zager guitar now. I was curious when I saw advertised on Ebay. I started searching it out and found the Zager web site. 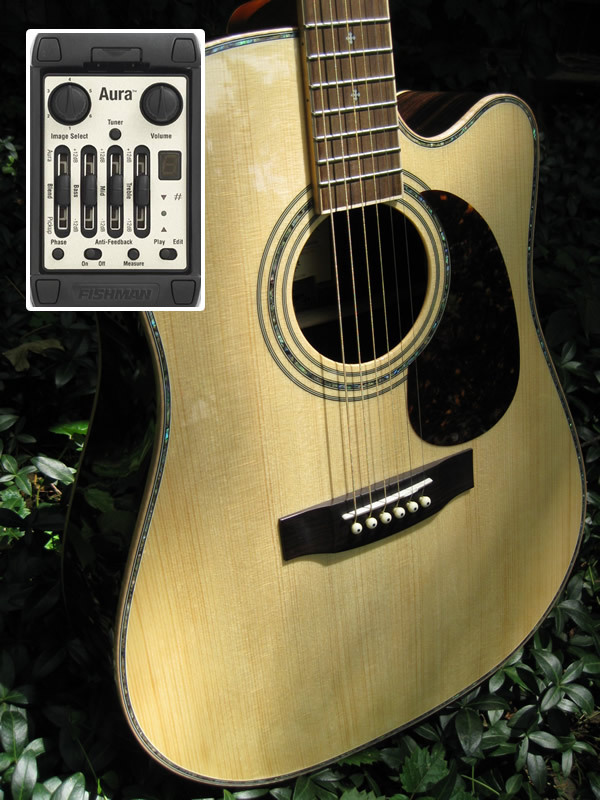 Ease of play is second to none including Takamine, Ovation, Adamas, and Martin. The craftsmanship compared to any of the Martins I've played and exceeds most that cost three times what Zager sells for. The tonal quality is superb with clear and resounding lows, and the mids and highs are crisp and clear. The sustain is remarkable! Besides being gorgeous, it is so easy to play. It is like gaining a few new friends that hit it off from the beginning. I already have and will continue to do so because of the excellent value, and excellent service. I've been buying from the same car dealer since 1976 for the same reason. This is an honest review, well deserved for the time and effort of everyone at Zager. I was on Ebay looking for a Martin guitar when I found an item detailing the Zager Company, There was a website and I went in to see what the guitar was about. First, I have never played professionally, only for myself, However I have had a Kaye electric, Wurlitzer base, Sigma Six-String and a Sigma 12-String accoustic currewntly. Due to an injury four years ago to my wrist, I hven't played the 12-string and am planning to sell the guitar. I'm sure I will find other things that impress me, but the quality of the wokmanship and the sound emitted from the instrument. Hard for me to say, but I would say just from appearnace it is equal to or superior to Martin guitars that I am very familiar with. These guitars begin at around $1,200.00 and go up from there. Everything was done quickly and efficiently throughout the processing of my order thru the delivery be UPS. Even after delivery, I emailed to say the guitat had arrived and was answered almost immeditely, thaankning me for the email. Having not played the guitar. I woul;d have to wait and see to be sure. I do know the beauty of the guitar and after jusr trying a few chords; I will have to learn to place my fingers a little differently, but wih much less pressure then others played before. Hoping to have success with the guitar in the very near future. 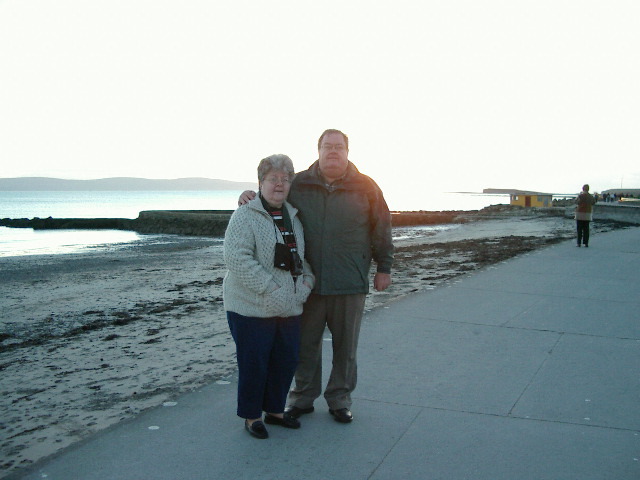 The photo is of my wife and I in Galway, Ireland. She passed away this last April and I think returning to the guitar will aid in my grieving her loss. This guitar is great! The sound is as good or better than more expensive Martin's. It has nice electronics for this price range too! My old guitar was an Ibanez pf and this guitar makes that one sound like nails on a chalkboard. Because it is so easy to play and sounds so good, you just want to play it all day long. Practicing has never been easier! On board tuner is great too! probably over $1000, but mine is one of kind ... priceless! The sound ,how easy it is to play its hard to put it down once you start playing it & it looks great. Well I owned 8 guitars 4 0f those are acoustic 2 election Alvarez Kazuo Yairi 12 sting C.O & a classical C.O Also a Takamine Garth Brook model this guitar range from 1400.00 to 2000.00 I think that this guitar would be in that range.. 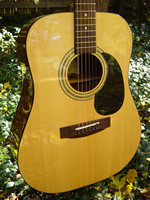 I purchased a ZAD-20ce in 2005. I did a good deal of research before I purchased that guitar. I have been completely satisfied with the 20. I purchased 900 because I had enjoyed the 20 so much. In most instances the sound of the Zagers is superior. The playability is far superior. The set-up and the action on both of my Zagers are my favorites. They are better than on any other guitars I have tried. Denny has spoiled me with his work and care. ZAD-50ce est. $1500 to $1800. ZAD-90ce est. $4500 to $5500. Customer service and support has been 12 on a scale of 10. Dennis and Denny have been extremely responsive. As noted above the work done by Denny on the guitars is superb. 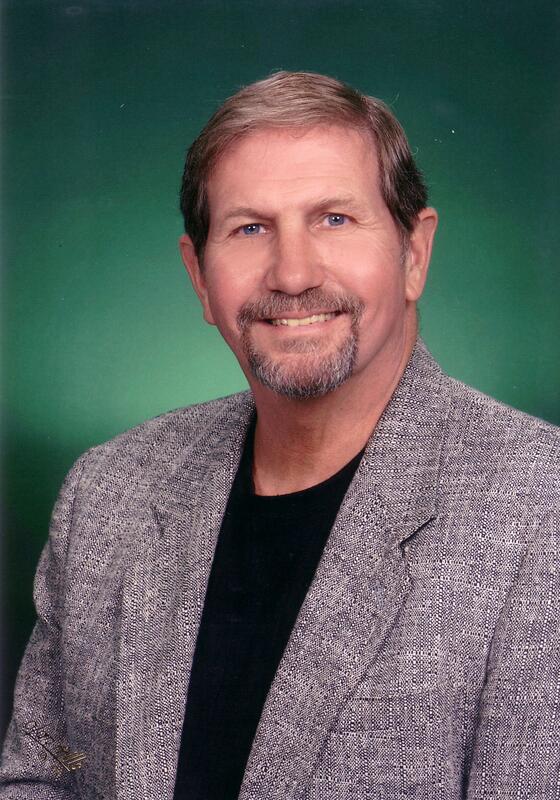 On customer contact, Dennis is always available and responsive. Dennis responds to any and all inquiries on a very timely basis. All of my questions have been answered in under an hour. The Zagers are always happy to help and to insure customer satisfaction. I will gladly recommend Zager to other. The quality and value for money of the Zager guitars cannot be topped. Two members of my family are professional musicians. Both of my brothers-in-law have Martins. Neither of them could believe the tremendous quality and the great playability of the Zagers. My other guitar is a Fender Stat so there is no comparison. they are a totally different experience. Number one is the sound. the tonal quality is sweet and wonderful. I even get comments from across the room from my wife Gail on how great the sound of the guitar is. It resonates oh so well. I also like its playability. The set up is done in a manner where it is quite easy for me to get my medium sized fingers where they need to go. Five Star Plus. Being in AZ, I had a little problem with buzz on high E, 12th fret. I ended up calling support and with no hassle what so ever, was able to send it back to Zager Co. and get a new one sent back to me. All of this took less than a week. The new guitar is perfect No buzz, just sweet sound. Zager's were in contact with me through out and I will say, with their service and products, they dont just "Talk the Talk", they also "Walk the Walk" and 100% do everything they say they will do to make things right. Try and find that level of service at most of you local stores these days where ever you live!! Absolutely, without hesitation I would. 1. The Quality of the instrument. I have not been a prior guitar player but I have been a musician all of my life having played 5 other instruments for years. I know quality instruments when I play them. This is one!! 2. As I mentioned, the personal and honest service these folks do business with. Very rare these days. 3. The price. I spent a day recently in a local Guitar Center Store just "playing". There were no guitars there that I tried in the same price category that could compare. my Z played more like a Martin. all I can say is that I am very happy and 100% satisfied with this guitar. Super service and follow through with the company was "icing on the cake" in this day and age. 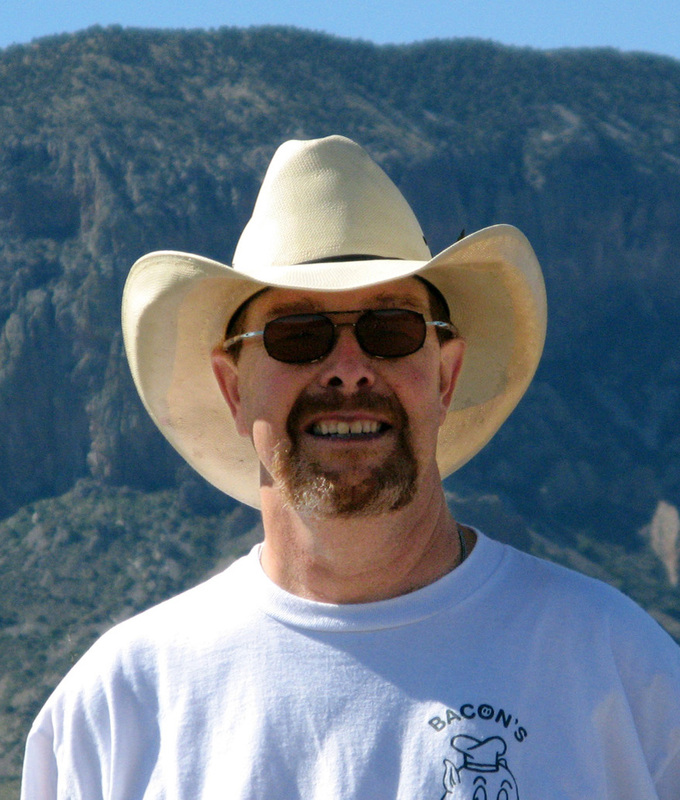 my mailing address is: Russell Wagner; 143 E. Merritt Ave., Prescott, AZ 86301 thanks. I have not tried very many. 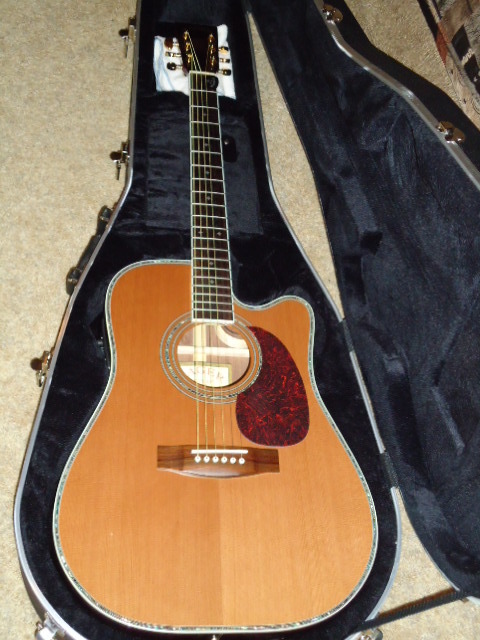 Compared to my other acoustic, it sounds great and is much easier to play. It is also beautiful. It sounds great, but the ease of play actually brought joy to me. I don't really have the experience to answer. Excellent. Every email I sent answered promptly, was kept informed and taken csre of. I am really a beginner. I am 20 years old, have big hands and fingers. I always wanted to learn to play, and a couple of years ago I bought a guitar and took a few lessons. The difficulty I was having forming the chords with my big hands and I guess age related flexibility caused me so much frustration I quit. The biggest culprit was the A chord. I just couldn't get my three fingers on the adjacent strings in the same fret easily, and then I heard the buzzes and flat notes a lot of beginners are familiar with. It made changing chords to play a song impossible. A few weeks ago, I started practicing again and actually seemed to be getting somewhere, but the same difficulties arose, so I decided to look for a new guitar. I don't remember if I read about Zager first or saw it on Ebay, but the EZ-Play system sounded like what I was looking for. I read reviews and testimonials and decided to take the plunge. As soon as I received the guitar and took it out of the box, I played the dreaded A chord. I formed it without struggles and strummed, then picked. All the strings rang out and no buzzes. That moment alone has made me a satisfied customer. I strummed a few songs almost good enough to play in front of someone else. I am very happy. I can't talk very knowledgeably about action, fret height, etc. I am a very raw beginner. But I love to hear guitars and in the short time I have had my Zager I have enjoyed playing more than I ever have. By accident on the internet. I have a 60's Gibson Hummingbird, made in Kalamazoo, Michigan and your guitar sounds if anything, superior. It's not as sharp a sound as the Gibson, more mellow, probably the difference in spruce and cedar, but I like it better for my "folkie" type music. Even though I had the Gibson professionally set up, custom nut and saddle, the Zager plays easier. I also play a Larrivee twelve string. Both the Gibson and the Larrivee are first class instruments, but in no way better than your unit. It has a unique feel in the way it plays. I also like its mellow tone, and it is so easy on the fingers. The quality and woods are also outstanding. I would recommend it to anyone wanting to purchase a quality instrument on a budget. I have compared it to a Martin (which I was considering before finding the Zager). Your quality is better than the new Martins. My opinion is that the big name makers, (Martin and Gibson) are now making their Guitars based on Business School principals of marketing, and losing the craftsmanship that made them great. I know a company has to make a profit, but it is a fine line of providing a quality item at a reasonable price. Zager has found it! I found this model doing a search on the web. This guitar plays much easier and with a greater depth of sound than the other guitars I have played. I love the richness of the sound it produces and the fact that I can play it longer than my other guitars without fatigue. I would guess this would be in the $1,000-$1,500 range. The customer support I have received has been exceptional with top notch service and responses to questions that are quick and very helpful. I would recommend this guitar to anyone who enjoys playing, from beginners to veterans. Thank you Zager Guitar, it has been several years since I played guitar and not only have you had an amazing impact on my desire and ability to play with your on line instructions, but you have made playing a sheer joy that will last a lifetime. You exceeded my expectations in every way! I deliberated long and hard, hemmed and hawed, wavered and vacillated, about first selecting the best guitar for the money (and for me) and then about ordering one online, sight-unseen and strings-unstrummed. 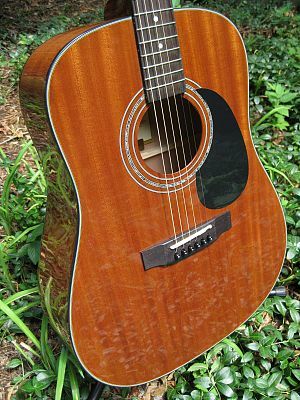 But after two disappointing and fruitless visits to a couple of local (within an hour's drive) music/guitar shops in my neck of the woods, I was more confused than ever about whether to choose a dreadnought, OM, or concert-size acoustic, and, of course, which make and model to purchase. I'm a not-so-young beginner with no aspirations for greatness—just want to strum along with a couple of friends of mine who've dusted off their Martin D-28 and vintage Gibson Hummingbird, after many years of idleness, to help us all get through the long, cold, boring winters here in the boonies of western North Carolina. Anyway, I went back to my dutiful online research, reading reams of reviews, dozens of blogs, listening to countless clips of folks playing their guitars on U-tube, and keeping in mind my "$200 tops" budget for what would be my then-upcoming birthday present. I finally narrowed down my choices to three: a Seagull Original S6, which got very good reviews, on sale for $399, a Guild M-120 Concert (with hard case, but, unfortunately, zero reviews) for $529, or your Zager ZAD20 OM, on sale for $495 (just eking in under my limit) plus another $100 for the case (which put me over-budget, but not drastically). Not having the opportunity to hear in person any of these three guitars, I just had to go with my gut, and my gut kept me returning to the Zager web site, positive reviews, excellent feedback about your customer service, help and lesson video libraries, and, most importantly for a tender-fingered novice, the EZ-Play string system. Well, it's incomparable :-) I have no old, other, or store-tried guitars in my life. The quality of craftsmanship and the feel and size (OM) of the guitar. I'm still working on building calluses (week 2), so E-Z play or not, my fingertips are tender. However, if the action were any higher I'd be really discouraged, so I guess I also appreciate the action. My friend with the Martin D-28 tried out my new Zager and said it played easier than his Martin. So, there you go. I truly do not know, but apparently at least half again what I paid for it. Superb. The best I can remember in decades. Almost instaneous responses to e-mails, answers to questions, and kind considerations -- always sincere, friendly and accommodating. Absolutely. Because of its quality, value for the cost, and most-excellent customer service. I just started accessing the lesson library, and am duly impressed with all the contents and opportunities for me to learn online from Denny about the guitar and how to play it in the year ahead. 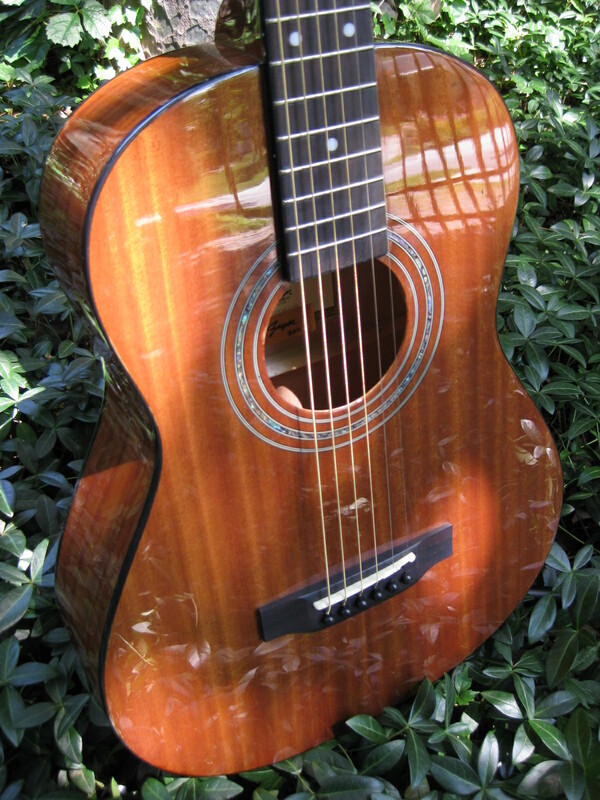 I found Zager Guitars while searching E-bay and they immeidately caught my attention. 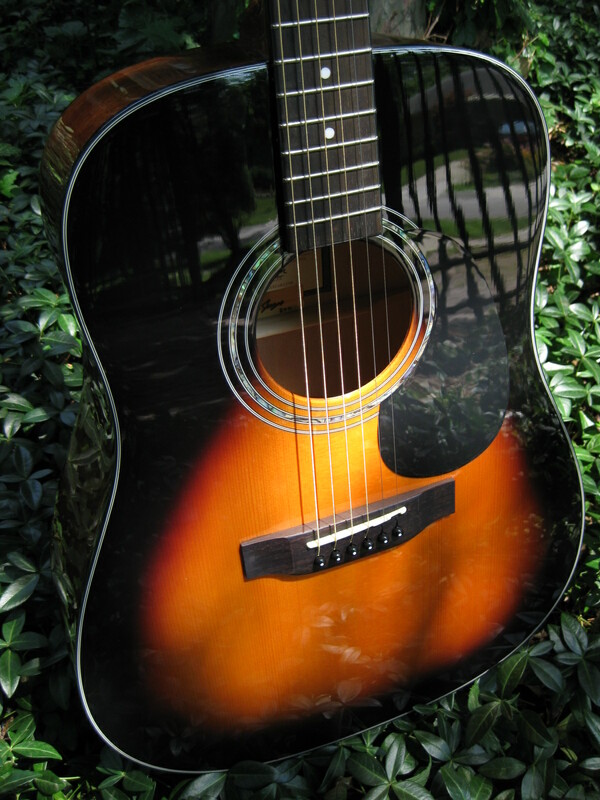 My new 20CE has a warm yet bright tone that really sounds great unplugged. The playability of this guitar makes it hard to put down. In fact, I am finding myself looking for ways to bring it everywhere I go if I think I will have time to play it. 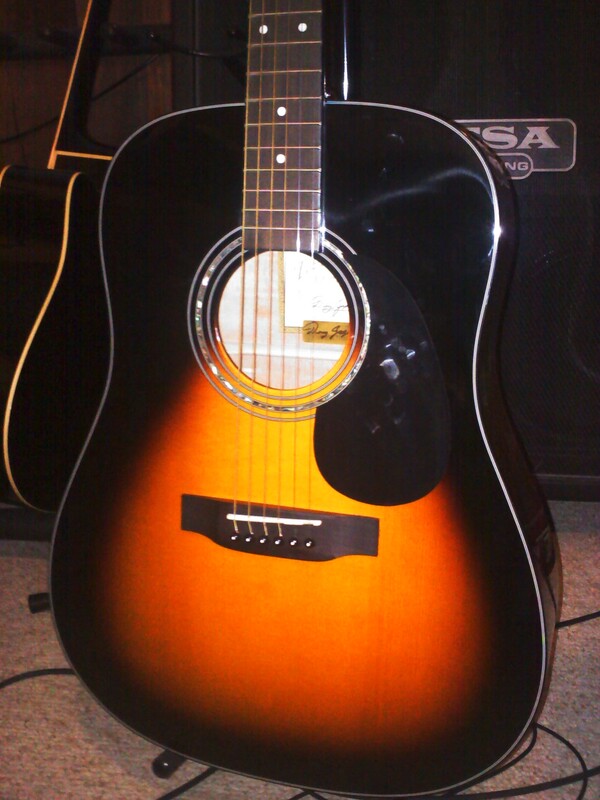 I presently own a Takamine EF-349 all mahogony body guitar as well. 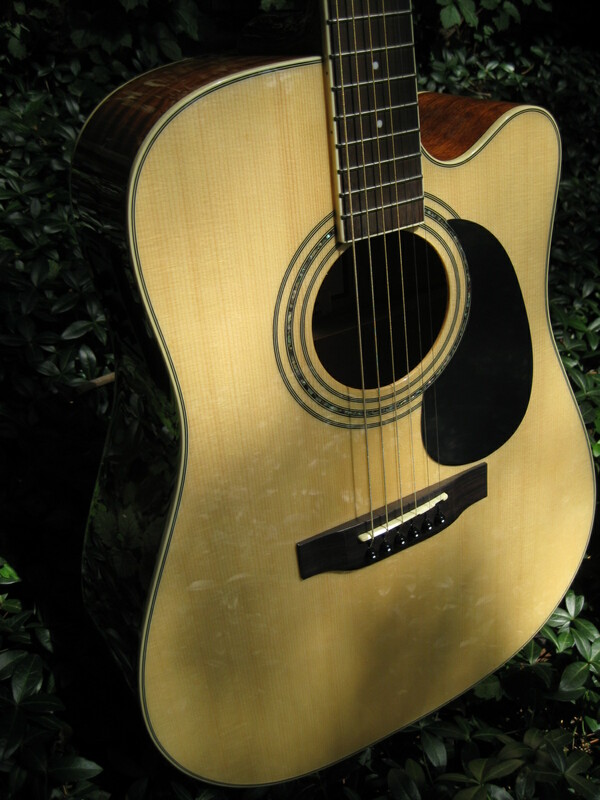 This Zager is very similar to the sound of the Takamine. I can't say I like the Zager 20CE sound more, but it a very warm and bright sound that makes it a pleasure to play. However, as advertised, the Zager Guitar is much easier to play, has more room for my fingers resulting in almost no string buss ever, and as others have stated, my fingers are feeling better since I have been playing the Zager. I have been playing the Zager now for about 2 weeks, around an hour a day and I am really enjoying this new Zager. The fit and finish is really incredible and the sound is great as well. $800 to $1000. But the support and personal attention of the Zager family makes it worth much more. A++++++. I could not be happier. I already have recommended it to all my friends. It's getting a lot of attention at church. I am so looking forward to playing it on stage tomorrow for the first time. I have never had a music company go to such lengths to earn my business. There will always be instruments out there that sound better and you will pay for it. But I can't say enough about the response I have gotten from Dennis Jr during this purchase and to me this makes the purchase so much more of a value. If you are reading this and you're undecided, take my word for it, you won't be disappointed by their guitars or the personal service that the Zager Guitar Company gives you. And the risk-free money back gaurantee makes the decision even easy for you. Just playing around on the internet looking for a new guitar. I've owned some very high end guitars - from Fenders, Martins, Guilds, and a custom made Frank Gay and I'm as impressed with my Zager as anything I've ever owned or played. I've only had the guitar a short time but I love it already. It is in the top 3 guitars I've owned and I've no doubt it will quickly take over as #1. I love the ease of playing the most and I'm really impressed by the beautiful tone that it delivers. 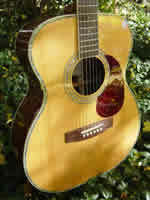 It is right uo there with a Martin D28 in the $2800.00 range. So far the support has been unbelievable. I've appreciated all the info I received and the contact I've had with Zager Guitars. I'm going to be bragging about to everyone of my guitar buddies. The ease of play, the sound, the service and the exceptional value are going to be my highlights. Love it! Love it! Love it! Thanks for everything. As a mainly electric guitar player, I've never really had a good acoustic guitar. But just as with a good electric, when you pick up this guitar, you can tell it is high quality. Originally I wanted to get a vintage MIJ dreadnaught. I stumbled on to your site and after hearing and reading about these guitars, I decided why not get a brand new guitar instead? I made a good decision. It's got to be the sound! So warm yet punchy at the same time. It sustains forever. Using a flat pick, you can hear wonderful overtones from each note that you pick. Probably around $1000 to $1,200? Good so far. No complaints. The lifetime guarantee and the full return policy tells me that this company believes in and stands by their products. I already have recommended Zager to a couple of my friends. The quality you get for the price... how can you go wrong? I am so happy that I found your website. I look forward to many years of enjoyment with this guitar. The ease to which it plays. I originally heard about this from an Internet site a few years ago. I was looking recently on EBay for an acoustic guitar and this popped up. Since I recognized the Zager name, and more importanlty, the Zager "EZ-Play" method of setting up a guitar, I looked again in more detail. The more I read the more I liked the idea. The Zager guitar is equal to any premium high-priced guitar that I've personally seen and played. And it is superior to most. The only guitars that could compare aer very high priced Martins. The SOUND! That tone is wonderful! And the playability. Simply unmatched. Denny and his son Dennis are first rate. They respond to your questions (even if they are dumb questions like mine) and give you real information, not just a sales line. Absolutely. Price and playability. To get this playability would cost 3-4 times as much from major guitar makers. The Zager is everything they say it is and more. What more can be said? If you are a beginner, this is the perfect way to start playing guitar. If you are experienced, this guitar will give you all you want in a performance instrument. Through Boyd Moon a local Luthier. It is my first guitar. It is much easier for me to play than my husbands Guitars. He has a 1968 Martin D28, a new dreadnaught Epiphone, an Alvarez classical guitar,(my next favorite after the Zager) and a $20 Ensenada.I tried a friends new small size Loar last week and I like my Zager much better. How easy it is to play without loss in sound quality. 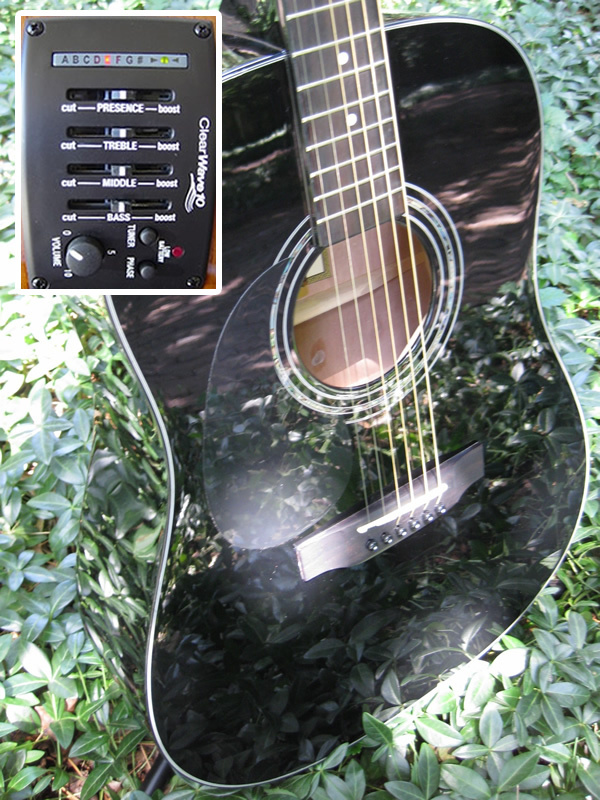 Oh yes!Because it is so easy to play and sounds great and is very competitively priced. It is also a very beautiful looking guitar and the case is real high quality too.I loved the little extra things that came with it-picks, tee shirt, strings guitar lesson, etc. Online Google search for acoustic guitars. The guitar I replaced was just an old beater guitar that had been my brothers....it had a pretty good sound but the ZAD 20 is much more balanced and much, much easier to play. One thing that caught my eye was the ease of play mentioned in the ads...I have a pretty busted up left hand from 55 years of living and my old guitar was very hard on my arthritis. Whether it is String Science or just a good set up I don't know or care...all I know is that the Zager plays very easy with no fret buzz or clinker notes. The other guitar I owned was an old Ovation Baladeer....1975 model that I bought brand new with one of my first paychecks when I got out of tech school and had a "real job". The Zager's sound is much more of a true wooden sound and much more alive and once again very easy to play as compared to the Ovation. This is a very subjective question but I have played much more expensive guitars that did not play as easy nor sound as good. If venturing a guess I would say it compares favorably sound wise with the $1000 guitars but at that price range you would probably have solid woods, but you would not have the abalone inlay nor the quality of finish which is on my Zager. This is where I feel the company is head and shoulders above most other companies that sell online. Dennis and his staff are very responsive, but in fairness they really have to be since it is nearly impossible to do a side by side comparison before purchasing. It remains a fact that they truly have AAA+ customer support. I would definitely recommend others trying a Zager while doing their comparison shopping. Sound and playability are very subjective and what I like may not be another's cup of tea; however I think they owe it to themselves to play and listen to a Zager to make up their own minds rather than putting a lot of stock in other folk's reviews or opinions (good or bad). Based on my own tastes I would definitely recommend this to others. Was looking at Ovations & Martins......This past summer, I had attended a concert with the band ZOSO, a Led Zeppelin tribute band. While watching John McDaniel their lead guitarist play, it made me want to pick up the guitar again, something I hadn't done since I was in grade school. Then one day about a month ago, I was watching a utube video of him playing Bron-Y-Aur-Stomp and I thought "Wow that guitar sounds wonderful, what is it?" It was a Zager....and that's what got me started researching Zager guitars. I have a 1971 Epiphone Classical Acoustic which I had been learning with, before I bought my Zager, I went to my local music store and tried a Martin, It sounded great.....it was also $2200.00! Couldn't do it. It sounds gorgeous, clean and bright... but warm at the same time,and it is truly a beautiful guitar. I took it out of the box and it felt right the minute I sat down with it. It stays in tune. It feels and plays like the $2500.00 Martin I tried out. My fingers don't get sore with my Zager unless I play all day. AWESOME!!!! I had a lot of questions, received lots of advice, very patient and helpful. It's sooooo easy to play..... it sounds wonderful..... your not fainting at the price.... customer service is unbelievable. Better than anything I have ever played before. Ease of playing and sound. More than I paid for it. Haven't needed any ,but I am sure it would be good. Yes. Ease of playing ,Sound, beautiful workmanship. I saw a tv commercial during the UT vs. UGA game. This guitar is amazing. My other guitars are jealous. I have never played a guitar that I like more than this one. I absolutely love it. It's like the sound of a Martin but plays better. Everything. Playability,and sound are excellent. 5 out of 5 stars. They treat you like family. Absolutely. It is the best guitar ever made! I can't put this guitar down,it has become a part of me. I have two other Zager Guitars. A Dreadnaught and an OM.. Both Acoustic/Electric. I use the big box unplugged and plugged. The OM is my solo performer axe--it simply fits and sounds fantastic through my Fishman amps. This 3/4 travel size mahogany is for Travel. This is a travel guitar for when I go away not on a music tour or gig but just to have something to play every day--I get some withdrawal if I don't play for a few days. It has basically the same feel as my other Zagers. You buy a Zager for playability and I want the same feel in a smaller travel guitar. With the smaller body you have some attenuation of sound projection and frets are closer together but the action feel is similar to my other two Zagers. The case is built like a tank--just right for travel. I would guess about like the Little Martins. There is no comparison. If you don't like it, they will take it back and pay shipping--who else is going to do that unless they really have a great product? What do you have to lose, if you don't like your Zager he takes it back--they do not want unsatisfied customers. If you play every day and use differing guitar sizes for different venues and want the same sort of feel and playability over your go-to guitars, Zager is really hard to beat. The setup is everything. Denny's system is right on the money. He knows what a player really wants. If you are a heavy handed player, you might not like the Zager action and setup. If you are struggling with Barre chords and fingerstyles and flex in your strums for a wider sound--you probably found the guitar you will play every day in a Zager. You can play for hours without sore fingers and still get big sound. This guitar far surpasses all other brand guitars. Ease of playability, good looks and quality service. I comparison to previous guitars owned I would consider this guitar close to a $2000.00 value. Excellent. They are very curtious, quick to answer emails and make you feel like part of the Zager family. They work with you 100% with no questions asked. Yes. It's the best guitar I've owned and I've been playing for over 20 years. I'm very happy with this guitar and play it regularly. I just can't seem to put it down. It's everything I wanted in a guitar. The customer service is the best, bar none, and I feel very comfortable that they would take care of any problem, without question. It kept coming up on ebay under gibson and martin searches. Very clever. At first I though the "EZPlay " bit sounded a little like ronco..it slices, it dices...butI read the reviews and looked at the pictures and I decided to take a chance. I got what a think was the top of the line with rosewood and abalone inlay. 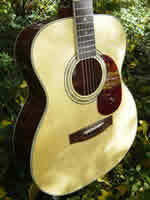 I had been thinking of a martin or a gibson songwriter which is also rosewood. This guitar compares very favorably with my Gibson J-200 and 1961 Gibson Byrdland, which practically plays itself. This guitar has huge tone like the Gibson Jumbo (the largest flat top they ever made) and plays pretty easily, though I'd like to lower it just a hair. I went to the guitar show in Miami and played a number of multi thousand dollar guitars that I didn't think were any better. Where to start: the sound is very forward, great for fingerpicking, and the spacing of the strings feels great. The guitar is very resonant, with lots of harmonic colors on each note if you're playing a melody. Tuning is spot on perfect, up and down. No dead zones or funny places (unlike my dear gibson) no buzzing, fretting out, intonation issues anywhere. The detail is tasteful and lovingly rendered. One is reminded of a Martin D-45. Terrific sustain. top notch. They have been very friendly and helpful. Yes. I already have, to my students. For the money I don't see how you can beat it. I'm sure it will only get better with age and playing. I can hear the tone opening up after a week. I would like to lower the action just a tiny bit, but I"m not sure how with a non adjustable bridge. I don't want to mess up what is nearly perfect. The case is nice, and this guitar deserves to be kept away from the salt air of fort lauderdale when not in use. But it's hard to put her down.